The rising cost of fuel has many families concerned about their heating bill as winter approaches. Keeping a house and its inhabitants warm can be a major annual expense, but you don’t have to choose between living comfortably and putting food on the table. These five simple actions will reduce your fuel consumption while still providing your family the security they need from winter’s icy grip. Showers and baths may be the most luxurious and refreshing parts of your day, but they are also some of the fastest ways to use up fuel. Limit yourself to a short shower and skip baths altogether. Filling up the tub is the greatest waste of energy, followed by long showers with the heat blasting. It’s fine to take a few extra minutes to warm up and relax, but a full shower shouldn’t take more than 15 minutes. If you’re tough as nails and dedicated, you can even try taking cold showers for a brisk wake-up in the morning. 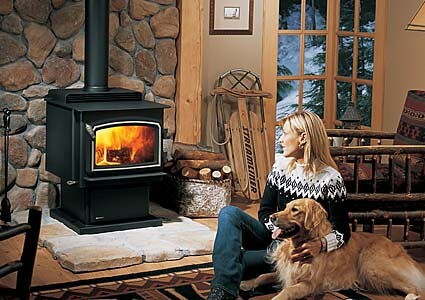 Before houses had complex heating systems, families were forced to rely on centralized heaters such as wood stoves. In the name of efficiency, sections of these homes were closed off for the winter and members of the household stayed in only a few rooms. You don’t need to huddle together in the same bed every night, but it’s still a good practice to retire unused rooms during the cold months. Close doors and seal ducts leading into guest bedrooms and storage spaces, and improve your insulation by taping windows and patching holes in your walls or attic. Fall is the time to guarantee that your heating system has survived months of light use and is prepared to handle the rigors of winter. Some maintenance beforehand is far preferable to a massive repair bill while your house slowly freezes in the middle of January. Test your heater and ensure that it starts up and communicates with your thermostat properly. Also check that the air filters are clean and replace them as necessary. Clogged filters are some of the most common culprits in wasteful fuel consumption. There’s no reason to keep the house heated while you’re asleep or away. Buy a programmable thermostat and set it to a lower temperature while everyone in the house is at work or school, as well as at night. Sleep with a few extra blankets if you are worried about waking up with cold toes. Your home will heat back up quickly upon your arrival or awakening, leaving you with that much more fuel to enjoy in person. 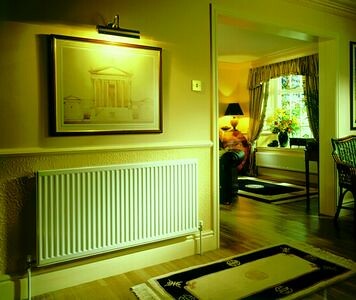 Finally, the best way to cut your heating costs is to use less fuel overall. All of the above steps will save you money, but there’s nothing to compete with keeping the thermostat a few degrees lower than in summer at all times. To stay comfortable, that means abandoning shorts and t-shirts in favor of more sensible pants and sweaters. Wear socks to protect your feet and even light gloves if you have chilly hands. Fighting nature is an expensive proposition, but by increasing their home’s efficiency and adapting to the seasons, nearly all families can afford to live in comfort. For a professional consultation when it comes to heat saving solutions, contact Brown Service Company, a heating company in Fort Worth.